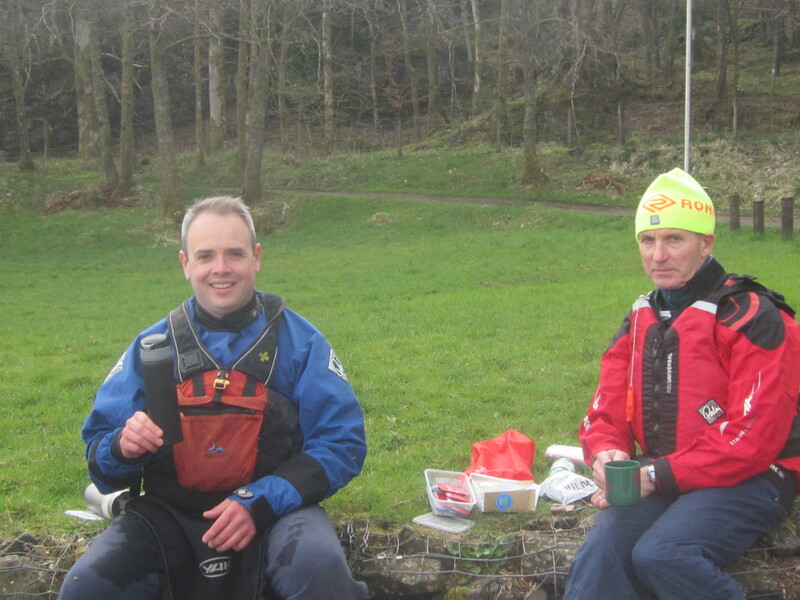 Report: The wind forecast was a steady F4 from the west and because this had been the case for the last 7 days it was felt that the planned Oban-Dunstaffnage-Lismore trip would be untenable. 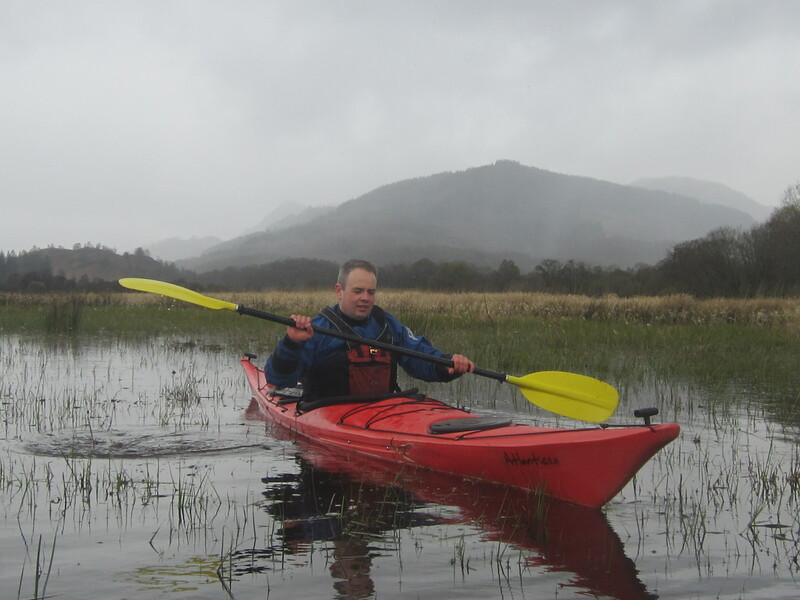 The chosen alternative was Loch Venachar in the Trossachs; chosen not for any obvious merit but because it had not been done by any of the paddlers. 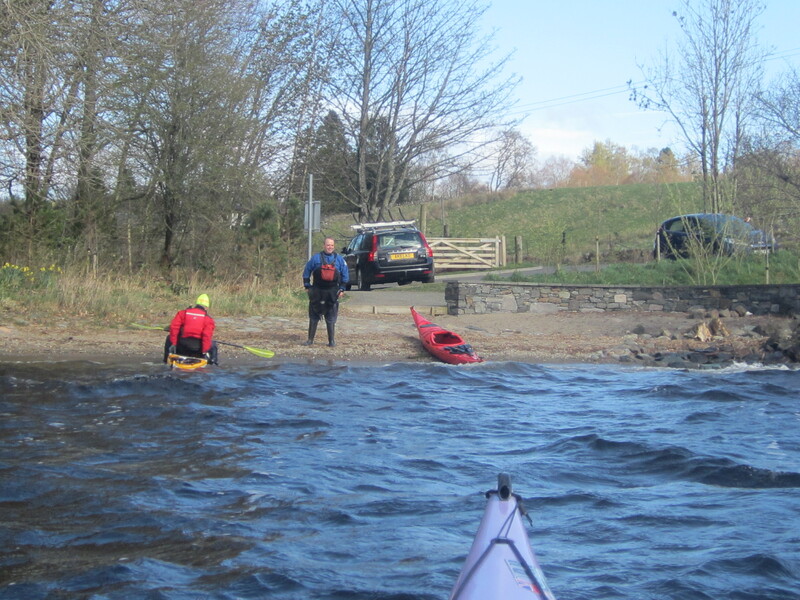 Parking and Launching was excellent, right at the start of the Loch on the minor road from Callander. 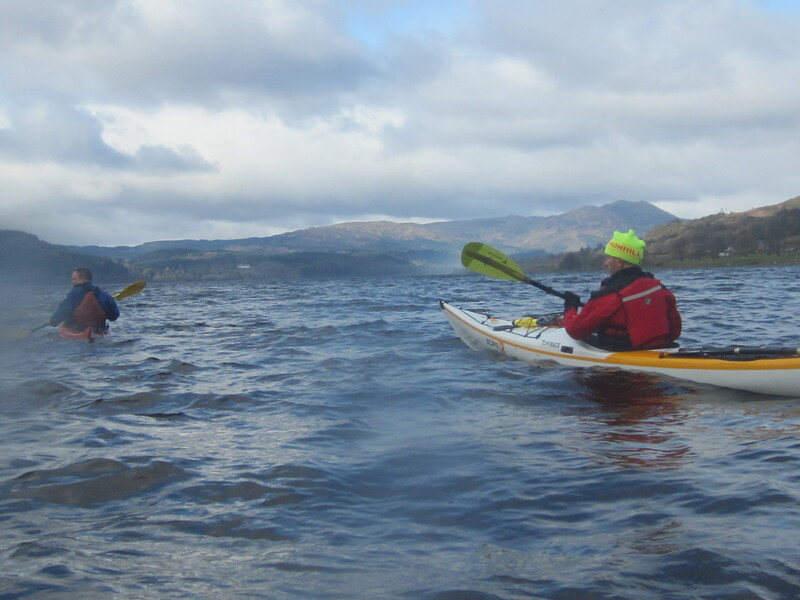 From the launch point we paddled along the south of the loch grabbing any shelter from the strong and very cold continuous wind. Most interesting feature was a large new respite centre/hopsice for cancer patients at West Dullater. One and a half hours in we had covered just 4km. 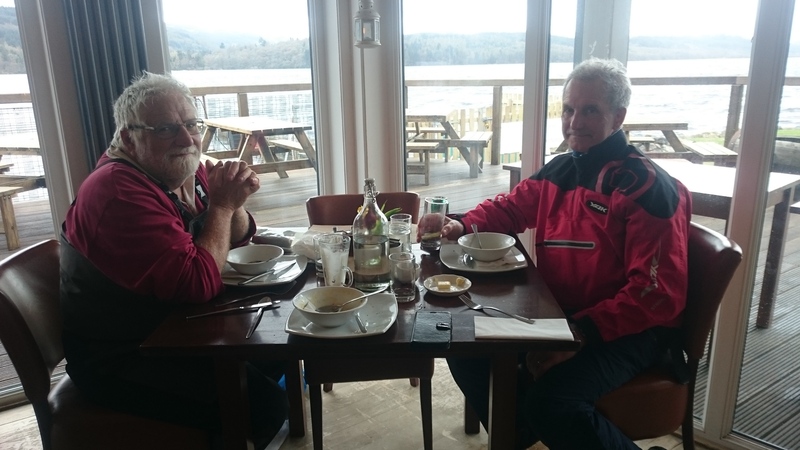 We landed at the Invertrossachs Scout Centre for a nose around, drink and some nibbles. The centre has improved dramatically over the years and was rather impressive. From there we carried on to the head of the loch and made our way up Black Water hoping that we might get to Loch Acray. 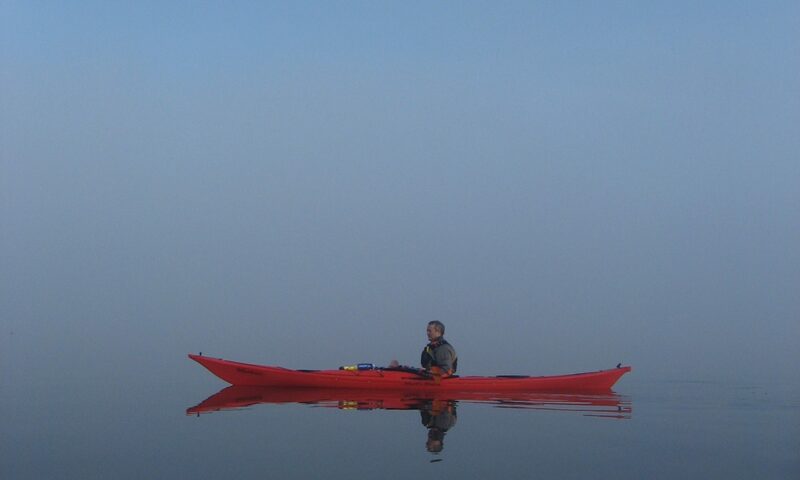 Sadly after less than 1km the open water simply disappeared into reed. Not wishing to wade through soft slimy mud we decided to retreat towards the cafe which we had been informed lay on the north side of the loch. This downwind leg was fast and we quickly arrive at a small beach adjacent to the cafe. The food and drink is expensive but very good. Thoroughly recommended as a stop. Whilst we were in the warm (and windproof), the wind strengthened half a notch running at a low F5. In addition the sun came out so the final leg only took less than 30 mins for the 3km. 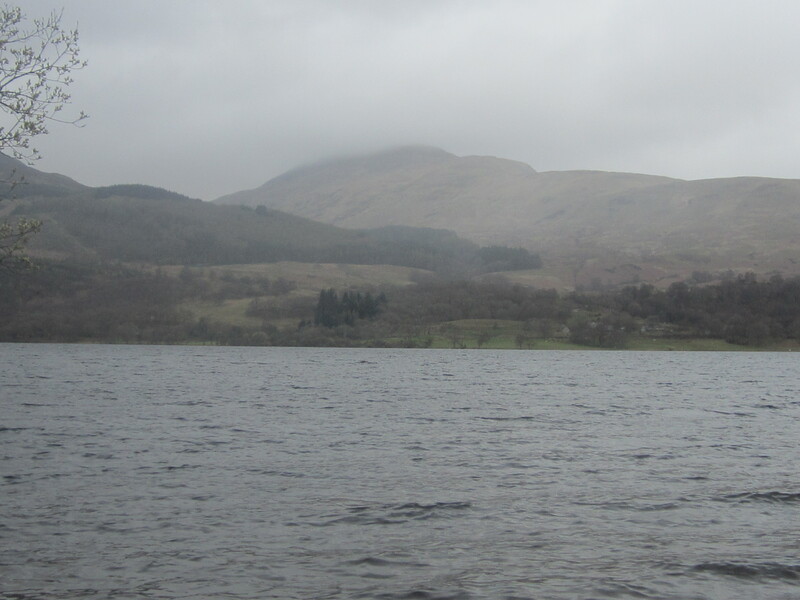 In summary the dominating memory was the wind with the outstanding feature of the Loch being the cafe. Worth doing if only for the excellent launch point.